I read “Simply Tuesday: Small-Moment Living in a Fast-Moving World” by Emily Freeman quicker than I should have because the book was so in sync with what my mind and soul are experiencing but struggling to put into words. I marked paragraphs about child-like faith, everyday faith, smallness being great in the kingdom of God, and love. I thought about purpose and where God has me. Emily’s words made me fall in love with Tuesdays – the most ordinary day of the week – and benches. I’ve long loved having my people around the table, sharing real life together, so the bench analogy for relationships makes sense to me. Jesus didn’t go around building his father’s kingdom by constructing massive cities; he built relationships with people sitting on benches and wells, meeting them in their ordinary life. The pages of “Simply Tuesday” are filled with questions I’m in the process of answering and stories of everyday faith that encourage well. I remembered faith is lived out in our actions, how we spend our time, and wherever we go. I saw scriptures with fresh perspective and longed for smallness that only makes sense in God’s kingdom. As I was reading, I texted friends quotes that made me think of them. I referenced sections in conversations with others. I stopped to pray and mark sections I know I’ll revisit. I quoted it on Facebook. 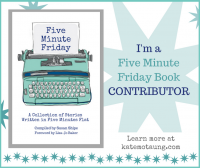 Consider those things the recommendation for this book because it’s one you’ll want to tell others about. ABOUT THE BOOK :: “Simply Tuesday” officially releases today, appropriately. Published by Revell. 256 pages. Here’s the description from the back cover: Is your soul being held hostage by hustle? If you’ve grown weary of do more and dream bigger, small-moment living is just what you need. Real life happens in the small moments we find on the most ordinary day of the week. Tuesday holds secrets we can’t see in a hurry – secrets not just for our schedules but for our souls. 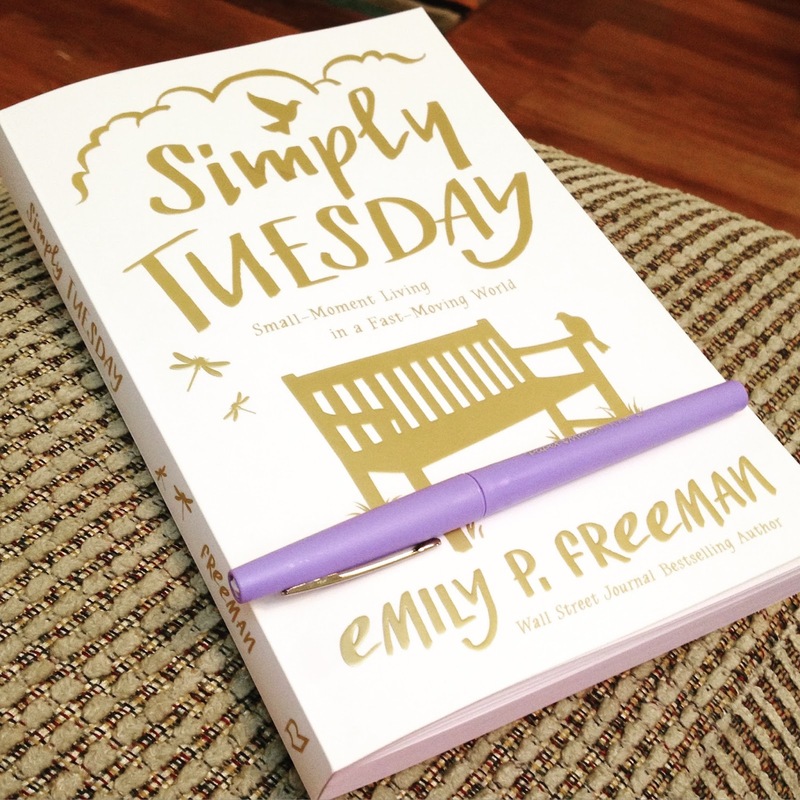 In “Simply Tuesday,” Emily P. Freeman shows you how to embrace today’s work, find contentment in the now, replace competition with connection, and learn to breathe in a breathless world. It’s time to release our obsession with building a life, and believe in the life Christ is building within us – one simple Tuesday at a time. 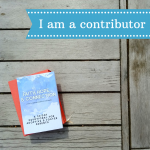 ABOUT THE AUTHOR :: Emily Freeman is a writer, speaker and listener. 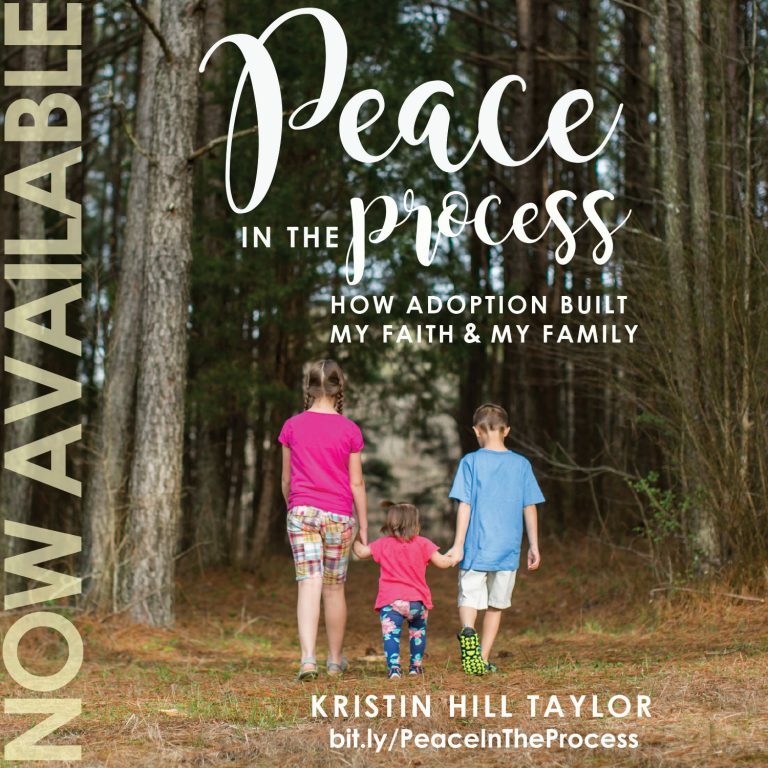 She writes for DaySpring’s (in)courage website and has traveled as a writer with Compassion International to raise awareness for the needs of children in poverty around the world. She attended Columbia International University to study the Bible and the University of North Carolina at Greensboro where she earned a degree in educational interpreting for the deaf. Emily lives with her husband, John, in North Carolina with their three children and their crazy dog, Finn. Emily extends a daily invitation on her blog for women to create space for their souls to breathe. Come join the community of grace dwellers at her website. You can also follow her on Twitter, Facebook, and Instagram and search #itssimplytuesday on social media to see people capturing ordinary moments that matter. GIVEAWAY :: Use the Rafflecopter widget below to enter the giveaway, which is open to U.S. and Canadian residents. A winner will be randomly chosen on Tuesday, Aug. 25. I received a free copy of “Simply Tuesday” from Icon Media Group in exchange for a review. The opinions here are my own as evident by all the many highlights and asterisks on the book’s pages. Icon Media Group is also providing an additional copy to whoever wins the giveaway.